Grifter-in-Chief Donald Trump’s lawyers made a desperate last-minute bid over the weekend to block the discovery process in the Emoluments Clause case filed by the Attorneys general of Maryland and the District of Columbia. U.S. District Court Judge Peter Messitte rejected their arguments. 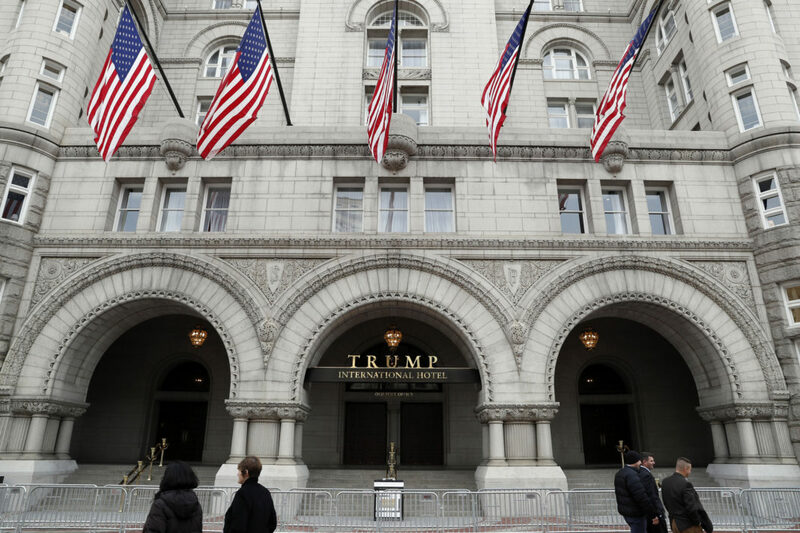 The State of Maryland and the District of Columbia began issuing subpoenas on Tuesday for records related to President Trump’s hotel in Washington, seeking evidence of conflicts of interest that violate the Constitution’s anti-corruption provision. See Subpoena For Documents (.pdf) to U.S. Department of Commerce (for payments made to Trump International Hotel, etc. ), and Subpoena For Documents (.pdf) to DJT Holdings, LLC (for financial records from as many as 13 of President Trump’s private entities, including all state and federal business income tax returns, etc.) Production of documents is due on January 3, 2019. The subpoenaed documents could lead to depositions with Trump Organization officials. Their demands for a vast array of documents, including tax records related to the president’s business, are certain to run headlong into a legal challenge by the administration. The Justice Department is expected to contest rulings by a federal judge who allowed the litigation to go forward, and the case appears bound for the Supreme Court. The governments of Maryland and the District of Columbia are claiming that Mr. Trump is violating the emoluments clauses of the Constitution by accepting payments from foreign leaders or state officials who patronize the Trump International Hotel, which is on Pennsylvania Avenue just blocks from the White House. They are seeking documents from about a dozen entities connected to Mr. Trump’s business, including the trust in which he placed assets when he became president, as well as from numerous other entities. But before any documents are produced, the Justice Department is expected to ask a federal appeals court and, if necessary, the Supreme Court, to intervene in the case. Justice Department lawyers contend that Judge Peter J. Messitte of United States District Court in Greenbelt, Md., has wrongly interpreted the meaning of the emoluments clauses, construing the bans against corruption far too broadly. Brian E. Frosh, Maryland’s attorney general, said he expected the Justice Department to request an emergency review of Judge Messitte’s decisions within days. “They have done everything they can do to avoid getting to this point, and I believe they will continue to do everything they can to avoid producing these documents,” he said. Besides Mr. Trump’s own businesses, the plaintiffs’ lawyers said, the subpoenas cover several federal agencies and the State of Maine, whose officials have patronized the hotel; the Treasury Department, because Mr. Trump pledged to turn over his profits from foreign governments to the federal government; the General Services Administration, because it leased the property to Mr. Trump’s company; and 18 hotels, convention centers or other enterprises that compete with Mr. Trump’s property for business. Mr. Trump’s sons Eric and Donald Jr. have run his business since he was elected president. But the plaintiffs are trying to show that foreign, state and federal officials gravitate to the hotel in an attempt to win the president’s favor. The embassies of Kuwait, Bahrain and the Philippines have held events there. 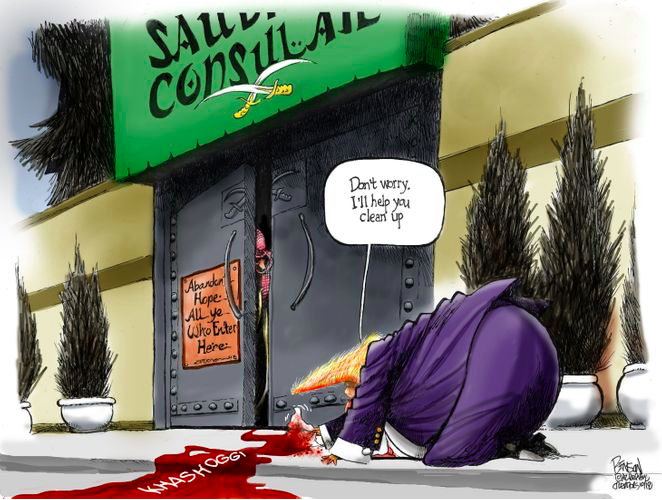 Moreover, “a large Malaysian government delegation has used the hotel, and Saudi Arabia has spent at least $270,000 there through its agents,” said Norman L. Eisen, the chairman of Citizens for Responsibility and Ethics in Washington and a co-counsel for the plaintiffs. “The president’s violations of the emoluments clause are blatant and ongoing,” he said. Neither the Trump Organization nor the Trump White House has provided any comprehensive accounting of which foreign governments have paid money to the president’s businesses — and, by extension, to the president, who still owns them. Nor have they said what these countries paid for, which might address concerns that they might be overpaying for services to curry favor with Trump. Now, after nearly two years of litigation, the attorneys general have filed formal requests for this data. Their argument: The Constitution’s emoluments clause was designed to prevent the public from being left to wonder if the president had unseen business relationships with foreign powers. Justice Department attorneys have so far unsuccessfully sought to delay this case and to prevent or at least delay discovery. Americans tax dollars are being wasted on having the U.S. Department of Justice defend this unethical grifter and con man who is profiting from influence peddling in court. A second Emoluments Clause case, brought by 198 congressional Democrats, could open the president’s company to discovery beyond the D.C. hotel. A district judge in Washington has so far allowed that case to proceed. Republican senators emerged from a briefing Tuesday about journalist Jamal Khashoggi’s killing and essentially accused the Trump administration of misleading the country about it — and even covering it up for Saudi Arabia. In remarks after a briefing from CIA Director Gina Haspel, Senate Foreign Relations Committee Chairman Bob Corker (R-Tenn.) and Sen. Lindsey O. Graham (R-S.C.) suggested there is no plausible way that Saudi Crown Prince Mohammed bin Salman didn’t order the killing of Khashoggi, a Washington Post contributing columnist, and said that the evidence is overwhelming. Graham was also asked about Pompeo’s comments and Defense Secretary Jim Mattis’s comments that there was no “smoking gun.” The senator said there was indeed a “smoking saw” — a reference to the reported bonesaw that was brought to dismember Khashoggi — and that Pompeo was being a “good soldier” by toeing the administration’s line. So that’s basically saying Pompeo aided Trump’s “willful” effort to obscure the truth. Corker was about as full-throated, saying, “If the crown prince went in front of a jury, he would be convicted in 30 minutes” — another clear rebuke to Trump’s statement and Pompeo’s and Mattis’s suggestions that this is some kind of unknown. To be clear, these senators aren’t just accusing the administration of missing the point on Khashoggi; they’re saying they feel misled and that the administration has obscured the truth. Donald Trump puts his self-dealing financial interests ahead of American national security interests. This makes this Grifter-in-Chief a national security risk. God only knows what all that Russian oligarch money has bought them.